I’ve just read this fascinating interview with the Dowager Duchess of Devonshire in The Guardian. The Duchess is the last of the Mitford sisters–a set with which I was only peripherally familiar. Still a life on the interwebs means I’m able to fill in the gaps fairly quickly. Here’s what I was able to learn about the Mitford sisters. Nancy (1904-1973). Novelist and Biographer. I haven’t read any of her work. Her essays, which may or may not have been tongue in cheek, helped define U and Non-U usage of English. It turns out that the upper classes are much more straight forward than the aspirational middle classes when it comes to saying what they mean. Who knew it was posher to say “loo” than “toilet”? Pamela (1907-1994). Referred to by John Betjamin as the “Rural Mitford”. Referred to by sister Jessica as a “you-know-what-bian”. Diana (1910-2003). 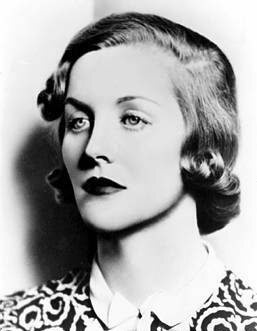 Of all the Mitford sisters I could have shared a birthday with, it had to be Diana. 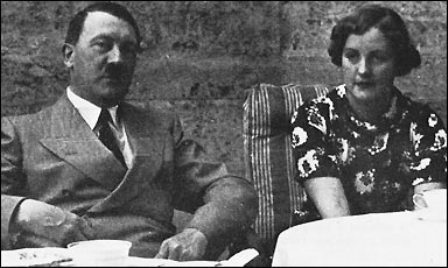 Married first to a Guinness, she later married Oswald Mosley, leader of the British Union of Fascists in a secret ceremony in Berlin where Goebbels and Hitler were the only guests. Diana spent most of WWII in Holloway prison. Post-war, Diana reviewed books for The Mail and The Times, but she never renounced fascism and, when she appeared on Desert Island Discs, described the Holocaust as “exaggerated”. Unity (1914-1948). Loved Hitler. Seriously. Unity was crazy for the Führer. After attending the Nuremberg Rally in 1933, Unity moved out to Berlin so she could stalk Adolf Hitler. At one point she even had Eva Braun spooked. Unity was a giant, Hitler-worshipping Nazi. Unity and Adolf - just good friends. After England declared war on Germany, Unity was so upset she shot herself in the head. She lived another couple of years and some people think she gave birth to Hitler’s baby. I don’t. Jessica (1917-1996). In any other family, Jessica might have been the crazy one. Jessica eloped with her second cousin during the Spanish Civil War. After he was killed during WWII, Jessica married an American civil rights lawyer. They were both members of the Communist Party. Needless to say, Jessica did not get on very well with sisters Diana and Unity. Jessica became an investigative journalist and wrote about the commercialization of funeral homes in The American Way of Death . Deborah (1920-). The Dowager Duchess of Devonshire. Deborah merely took tea with Hitler, but she didn’t speak German and, so, couldn’t be expected to hold up her end of the conversation. In 1941 she married Lord Andrew Cavendish who later became the 11th Duke of Devonshire. She remains to this day remarkably untouched by controversy. The Mitford sisters–equal parts bonkers and fascinating. Diana’s daughter in law, Charlotte Mosley, has been granted access to nearly 80 years of written correspondence between the sisters. she published around five percent of the letters in a collection called The Mitfords: Letters Between Six Sisters . It sounds delicious. I’m ordering it today. This entry was posted in Books, That's Weird! and tagged Duchess of Devonshire, Führer, Goebbals, Hitler, Mitford, Nazis, Nuremberg Rally, Oswald Mosley. Bookmark the permalink.